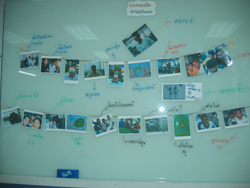 In 2006, under former Prime Minister Thaksin’s government a project aimed to support the most appropriate TV content for children and prevent inappropriate TV programs for children was initiated. However, the project has failed to achieve its goal given that a majority of TV programs are still placing more priority on profit-making than evaluating the appropriateness of TV content for children. Children represent the future of our country and careful attention should be paid to how television and other modes of communication are affecting their lives over time. 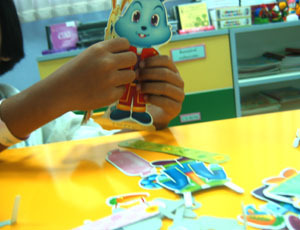 A material world depicted in some TV programs can cause those children who often use communication to guide their lives to become material people. Typically, children are not given the opportunity to express themselves accurately and are therefore unable to solve their problems in real life. This can especially apply to those children who are less fortunate or underprivileged. For these children, their lives are seldom portrayed on TV; hence people in today’s society have very little knowledge about them. Again, the root of this problem rests with today’s media organizations whose selection of today’s TV programs is based exclusively on making a profit. The education of mass communication for children is necessary given the increasing influence of media on children. Children often exercise their value judgments based on what they see on TV. The Kid’s Story project under the Mirror Foundation was created to focus on developing and spreading social education among children. By participating in workshops hosted by the Kid’s Story project, the underprivileged children will gain a better understanding of the different kinds of media through producing and directing their own short films. Moreover, these workshops give the kids an opportunity to develop critical thinking skills and to understand the importance of reporting news accurately. Under the Kid’s Story project, children will have a substantial role in transforming the role today’s children have as media consumers to media producers. As producers themselves they will learn to understand the consumer’s point of view. Hence, it is critical that more media space be allocated to producing positive youth stories. The accuracy of several news reports is often undermined in an attempt to generate more interesting news. Therefore, this project is aimed at building awareness among various media organizations in understanding the potential children have to contribute to creating positive youth stories. Through the short films created under the Kid’s Story project children will be able to express their feelings about their current environment from their own point of view. Hopefully the aim of the Kid’s Story project can be emulated in schools across the country and the future of mass communication will rests in the hand of these children. Until then, we can only wait and see their stories which will be aired on ETV, Cable TV, Satellite TV, Website IPTV and distributed on CDs.